Being a parent is a collection of opposites and oxymorons. Tough love, magical mayhem, tiring yet rewarding are all feelings and philosophies that play their part. For me, being a mum makes me feel complete but the fact that big pants, no privacy and lack of sleep is also part of the experience makes parenting a colourful adventure! So as part of the Vlog Stars monthly vlog link with Mr and Mrs T Plus 3 and You Baby Me Mummy, I have created this blog on My Top 5 Highs and Lows of Parenting. Can you relate? I’d love to hear what you think and feel too. 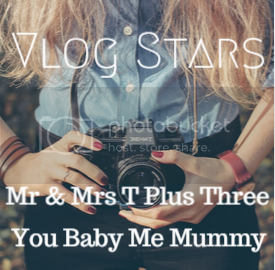 If you want to join in on this linky and to find out about next month Vlog Stars theme, you can read the original T’s and C’s here.